South Pacific Familyadventure 2008 - Good Bye Dora Mac? Title: Good Bye Dora Mac? 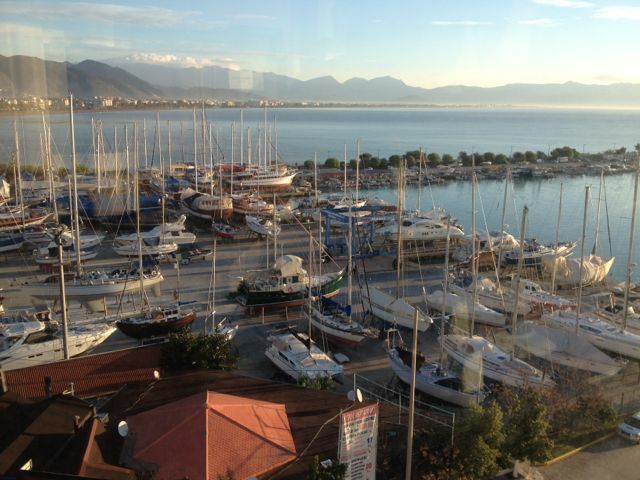 The Finike marina ship yard as seen from the hotel where Randal spent his last night. We had breakfast together and saw DM clearly from our window saying good bye for now. We will be back quite soon with some friends and hopefully again be able to go cruising in ”Winterturkey”. In the meantime teakdeck will be recaulced and bottom antifouled.